Since making his debut against Ireland 10 years ago, Cipriani has made just four starts for his country, but now he has the chance to shine in Cape Town this weekend as Eddie Jones has selected him at fly-half ahead of George Ford. “Now I’m here I’ve got an opportunity to represent my country and get back to winning ways on Saturday, and that’s what I’m excited about," Cipriani told englandrugby.com. 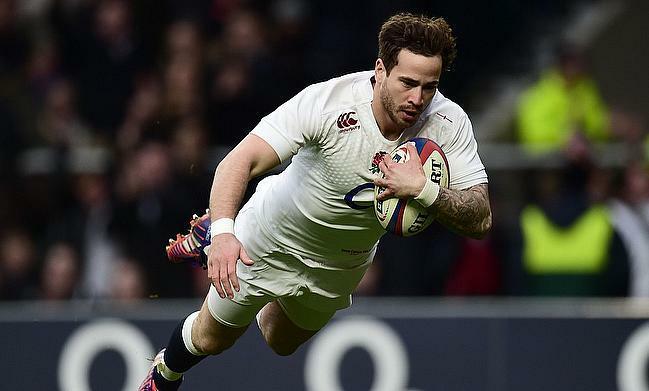 Cipriani’s last start for England came against the Springboks at Twickenham in 2008 but since then, he has played for Melbourne Rebels, Sale Sharks and Wasps whilst his international career has been punctuated by injuries and off the field issues. However, Gloucester-bound Cipriani believes his playing experiences have helped his development over the last decade. He added: “The journey has prepared me for it. Sale was completely different experience, then going to Wasps again it was a different way of playing rugby and you have to feel it out there in terms of momentum, how’s your position, how’s everybody in your team, what’s been happening the last couple of minutes. Cipriani will now be hoping to get the better of South Africa this weekend as England look to avoid a whitewash at Newlands and Boks skipper Siya Kolisi feels the inclusion of Cipriani will aid the tourists’ cause. "England can't change a lot from a week ago, but Cipriani is a different type of player," Kolisi said. "He's different to George Ford and you need to expect anything from him. He thinks outside the box. We know how much they want to win the game, so their intensity will be high. "We can't relax because we want to finish this series properly. It will be another two months before we play again so we want to leave a good taste in the mouth. "We can't focus too much on winning or losing, we just have to make sure we leave everything on the field. We've won the series, but we're not where we want to be."